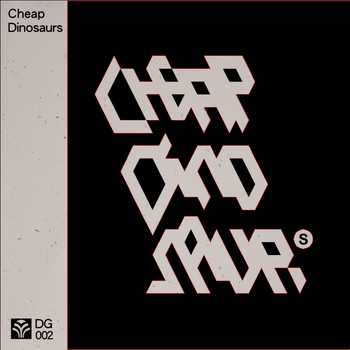 Cheap Dinosaurs’ self titled album propels chiptune forward with prog-pop cosmic bitscapes. Cheap Dinosaurs, the live Chiptune supergroup consisting of Philadelphia’s finest chiptune musicians, including Animal Style, Chipocrite, An0va, and other talented musicians who don’t have websites. Cheap Dinosaurs brings precise arrangement and tight performance to their shows and recordings. Hand-made seed paper with screen-printed album art that you can plant under a thin layer of soil and blue lobelias will sprout and grow. How cool is that? Released on October 18th 2011 on Data Garden. The album is available from Data Garden. Like Cheap Dinosaurs on Facebook. If you like them a lot, check out AUTOSCROLL.